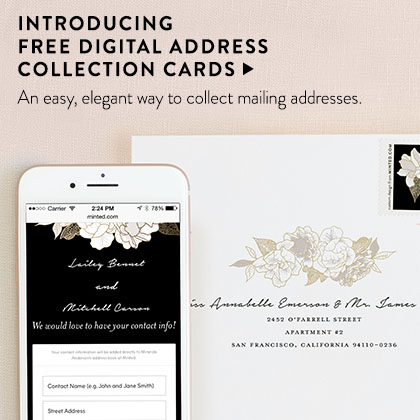 Share the details of your wedding with a save the date that is all your own. 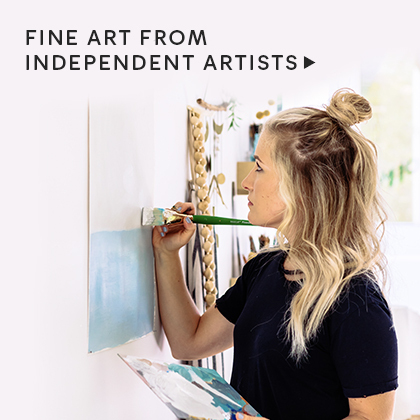 Choose from the freshest designs by our community of independent artists and customize any detail. From custom monograms and special colors, to hand drawn maps and icons you can make your save the dates uniquely you. 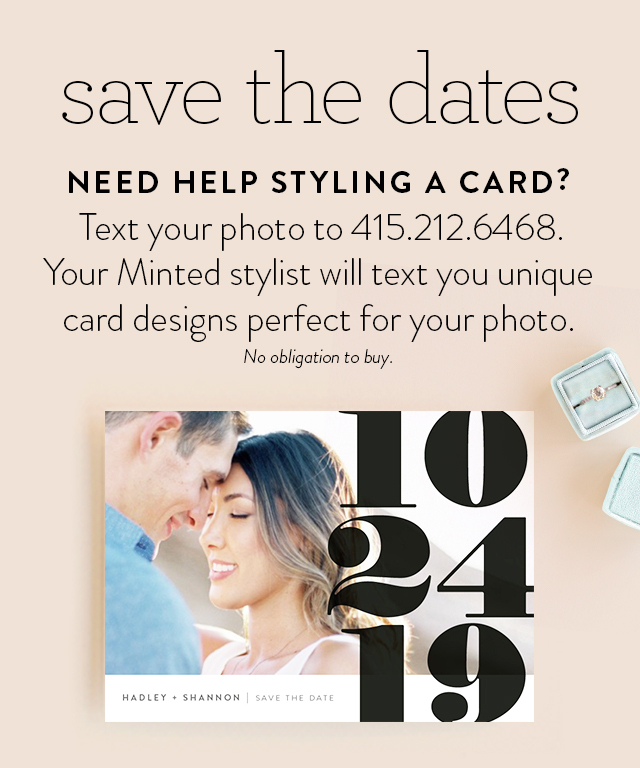 No matter your style, Minted has the perfect save the date cards to announce your big day. 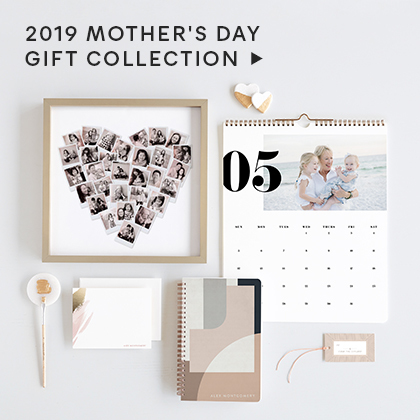 Choose from classic save the dates with FREE matching envelope designs, to save the date postcards or save the date magnets.Looking for a budget-savvy save the date option? 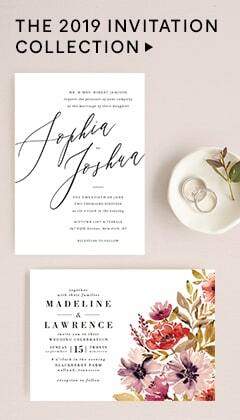 Starting as low as $1.65 per card, save the date petite cards are easy on the budget, without sacrificing quality. Whatever format meets your needs, we have photo and non-photo options to share your wedding date with intended guests. We also offer free photo retouching, for that extra bit of perfection.